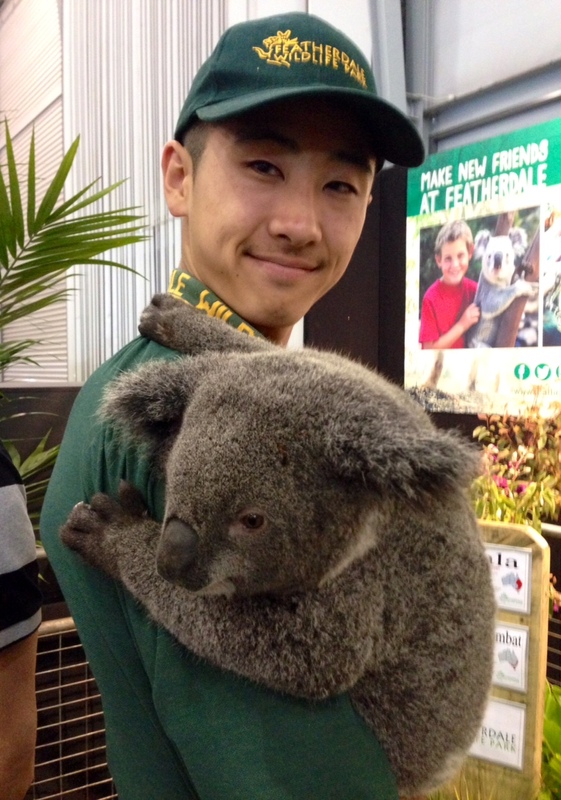 If you’ve ever dreamed of meeting a real, live koala, the Sydney convention is the right place to be. Chloe (pictured above) was brought by Michael, a volunteer at Featherdale Wildlife Park. You can’t hold her, but this two-year-old koala is a charmer. She’s taking up residency in a booth inside the House of Friendship during the convention. Stop by and say hello, just don’t call her a “bear.” Koalas are marsupials and they’re very touchy on this point.